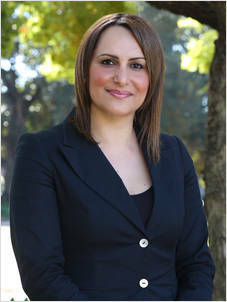 With over two decades of experience in the real estate industry, Nancy Ibrahim continues to bolster her presence in the competitive industry and her efforts have been recognised with a number of awards. Since joining the Laing+Simmons group back in 2003 Nancy has won several awards for Excellence in Administration and Office Manager of the Year, as well as being inducted into the Laing+Simmons Hall of Fame in 2012, a prestigious achievement for a Laing+Simmons employee. Responsible for managing the day-to-day operation of the office, Nancy is the back bone of the entire team providing tireless support and overseeing the administrative function of the busy sales department, as well as being the licensee in charge of Laing+Simmons Granville. Her strong communication and time management skills, coupled with her extensive property management, sales and administration experience play a key role when delivering the best possible service and results for her clients. Nancy’s attention to detail and commitment to the job at hand positions her as an invaluable member of the team, always striving to go that extra mile to ensure the reputation of Laing+Simmons remains intact. Her determination and passion for the industry will see Nancy successfully progress throughout her career in the near future.